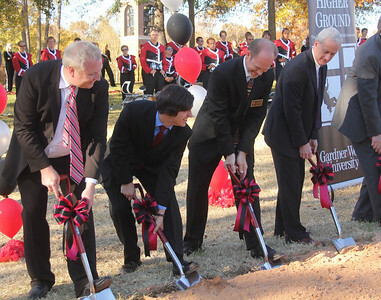 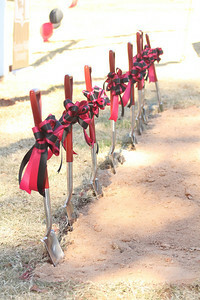 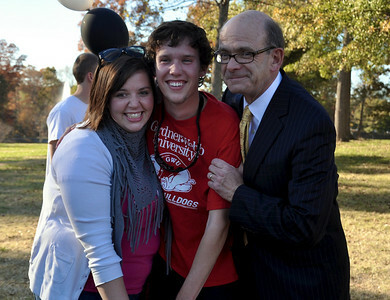 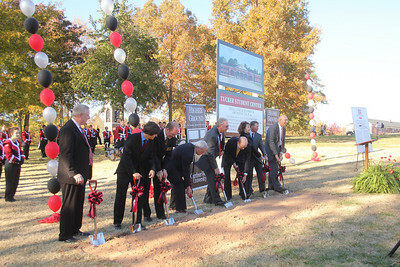 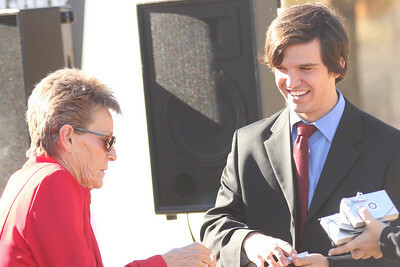 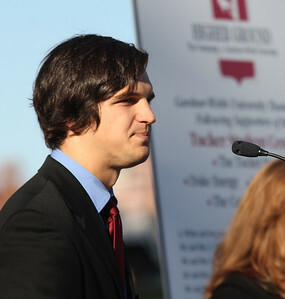 The groundbreaking for the new Tucker Student Center took place November 11th, 2010. 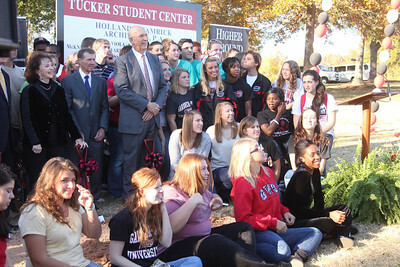 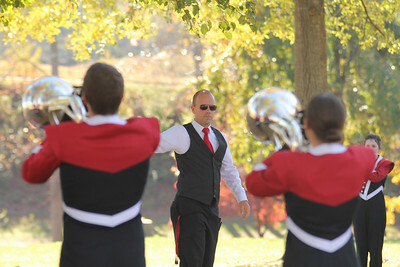 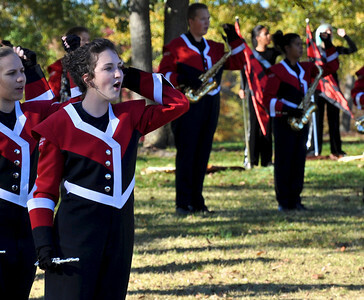 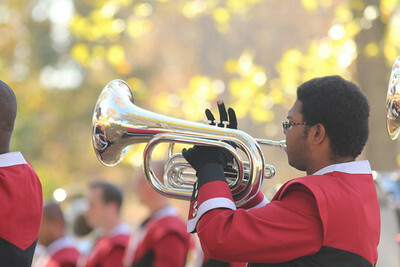 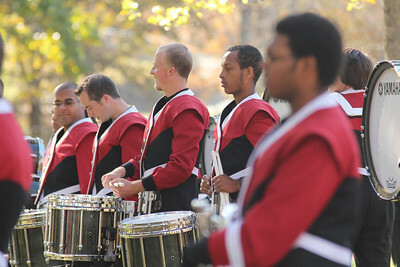 GWU Marching Band members watch the groundbreaking ceremony for the new Tucker Student Center on November 11th, 2010. 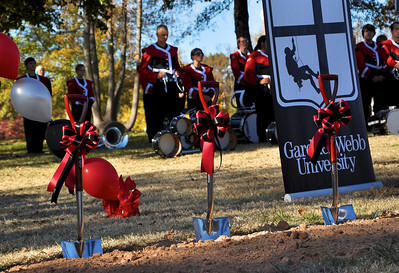 Shovels ready for the groundbreaking November 11th, 2010 of the new Tucker Student Center by Lake Hollifield on the Gardner-Webb University campus. 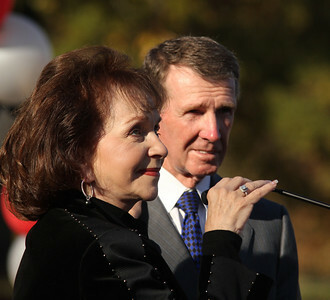 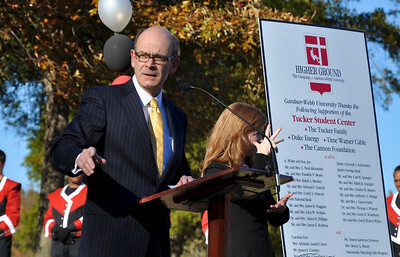 The groundbreaking ceremony for the new Tucker Student Center took place November 11th, 2010 on the edge of Lake Hollifield. 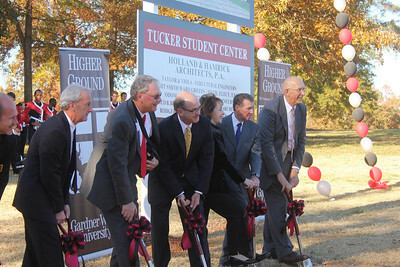 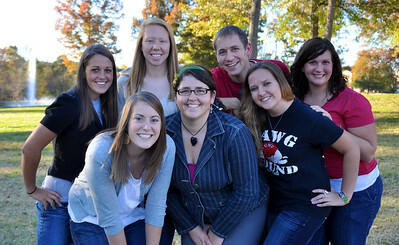 The new Student Center is one of the first portions of the Higher Ground Capital Campaign for Gardner-Webb University. 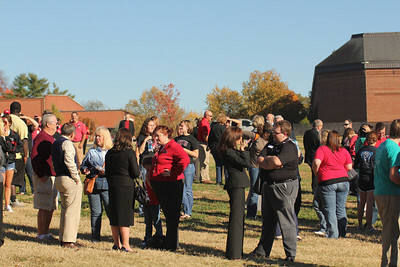 Faculty, staff and students wait for the groundbreaking ceremony for the new Tucker Student Center on the edge of Lake Hollifield. 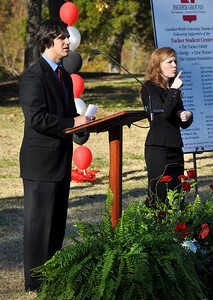 Gardner-Webb University president Frank Bonner addresses the crowd at the groundbreaking ceremony for the new Tucker Student Center on November 11th, 2010. 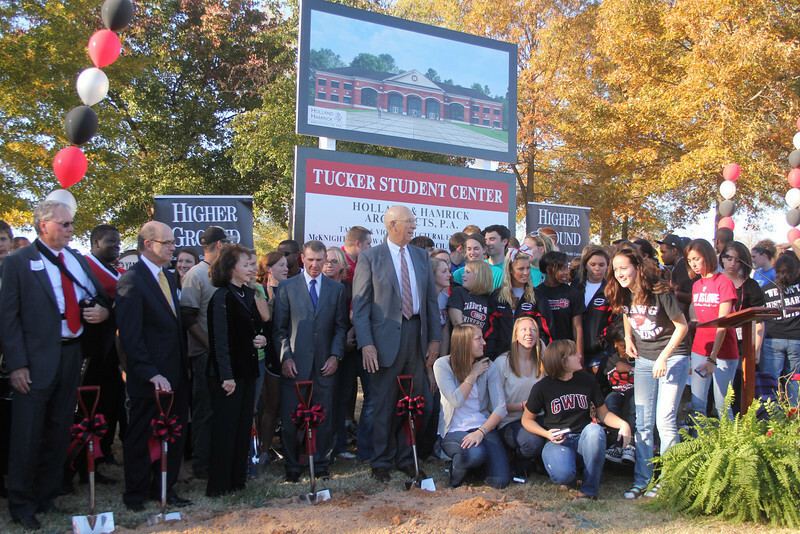 Following the groundbreaking for the new Tucker Student Center gardner-Webb students, faculty and staff joined for a commemorative photo. 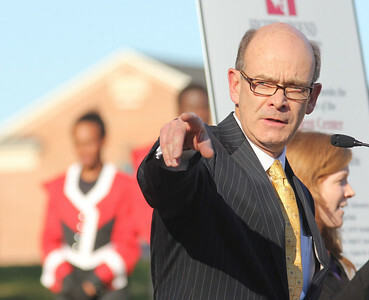 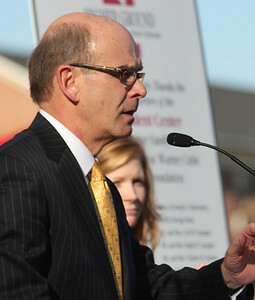 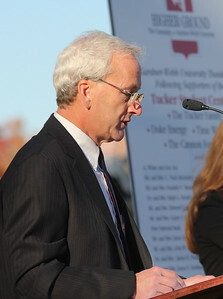 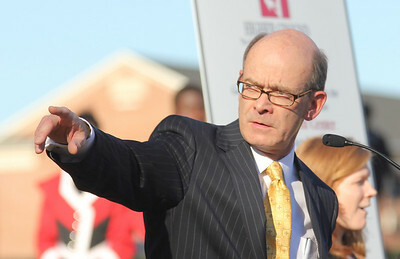 Gardner-Webb University president Frank Bonner points to the future site of the Tucker Student Center during the groundbreaking ceremony on November 11th, 2010.